10 Steps to Optimize Twitter for SEO. 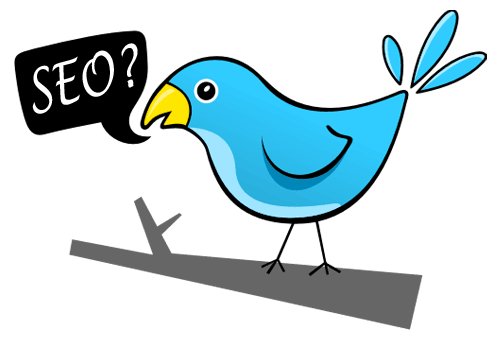 All too often people overlook or don’t realise that they can optimize Twitter for SEO! Search engines crawl Twitter regularly searching for links. ‘Huh?’ I hear you say. I will show you 10 easy and incredibly effective ways to optimize Twitter accounts and shoot up the rankings. Before you start, think about the words people will use to try and find you and what you are saying on the Internet. Optimize Twitter with the Google Keyword planner – it is a great support in creating a list of keywords for your Bio and make your tweets content rich and so easier to find. Work on this to get a short and easily understandable name (twitter handle). Don’t use numbers as this will look like spam. To optimize twitter handles, try and incorporate a keyword into your handle. Keep under 20 letters to allow more space for re-tweet content. Your Bio (biography) is a highly important piece of information about you, what you do and how you can be found on-line. The Bio is actually the meta description for your twitter page. This is a key piece of data used to optimize twitter for SEO. Include vital information that is keyword rich in hashtag format. Please do put your website URL both in the bio section and also in the website section. I would avoid link shorteners here as these will affect the URL’s visibility to search engines. Images are powerful ways to optimize Twitter accounts. Your Profile Picture is also very important and should have an Alt Tag that is content rich and describes what your business is about e.g. Yourname Social Media and Digital Marketing.jpg. Google searches Alt Tags (alternative text tag) for indexing so it is crucial to work on this little area for bigger results. Search engines don’t search all the content of your tweet but it’s essential to know that they search characters 27 to 40 – strange I Know ! So try and get a strong keyword or phrase into these characters to really power up your tweet success. Google uses inbound links to assess the popularity of a website – so Twitter uses Re-Tweets to ascertain the popularity and relevance of content. Use bit.ly to shorten links that you re-tweet as this will create a 301 redirect – essentially a permanent link from your URL to the link. Your goal should always be “How can I get Re-Tweets” Publish and re-tweet the very highest quality content. Develop relationships with highly ranked users and of course you can always ask for a Re-Tweet – but don’t make a nuisance of yourself ! Craft the content of your twitter account set-up and also your tweets around one key area. If you have interests in different business activities – say Cars and Gardening – set up different twitter accounts for both and craft your tweets for each category. Don’t tweet about gardening and cars from the one twitter account if you want to rise through the rankings. Although restricted to just 140 characters – Twitter offers you the ideal platform to create links back to your website. After all, your main focus with social media should be to drive quality traffic to your website to increase authority and Google page rank. Always use the goal of a top three listing on the SERP (search engine results page) in every action you take on social media. Twitter makes any word preceeded by a #hashtag into a searchable link. So, create a primary # for your company or business area and then select a core group of hashtags to attach to all your tweets. Using the Google Keyword planner will also help you target the strongest content for # creation. Don’t go mad on the hashtags – two is plenty per tweet ! These are now essential for boosting engagement and optimize for SEO. People are hunting visuals for short-hand explanations of content and also entertainment. Images can boost re-tweets by up to 150% according to Buffer. Google loves images so don’t forget to use your Alt Tags. Remember too that Tweeting media from third party apps like Hootsuite will only show a link and not an image on your timeline. Canva is a great free resource for creating impressive graphics to support your on-line content. Finally, Twitter is integrated with YouTube and Vine which are essential for SEO – but hey that’s another blog for another time ! I hope you found some handy tips to Optimize Twitter campaigns for your business. Have you any tips you would like to share ? I’d love to hear from you !